THIS IS NOT HAPPENING is happening again! 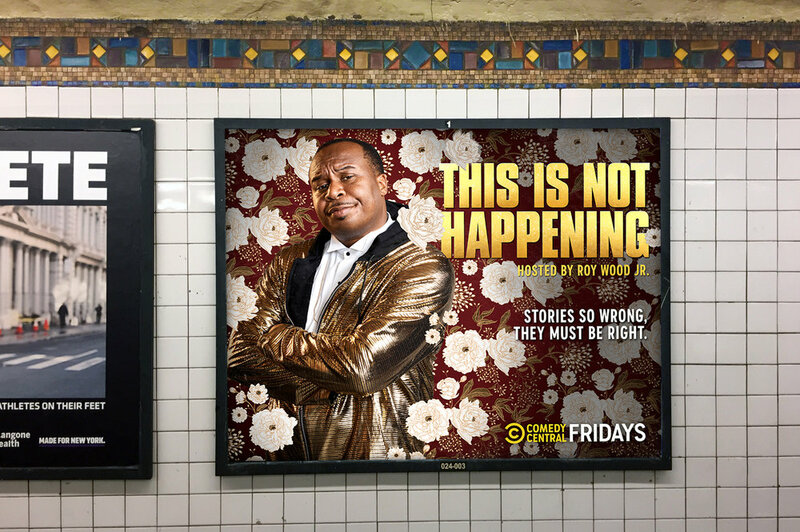 Without a shoot, we revisit select photos of host, Roy Wood Jr., and reimagine him in a completely new environment ready to revel in comedic tales of Shame. We wanted to keep Roy in the regal world of storytelling, so we wrapped him up in a portrait of vines.